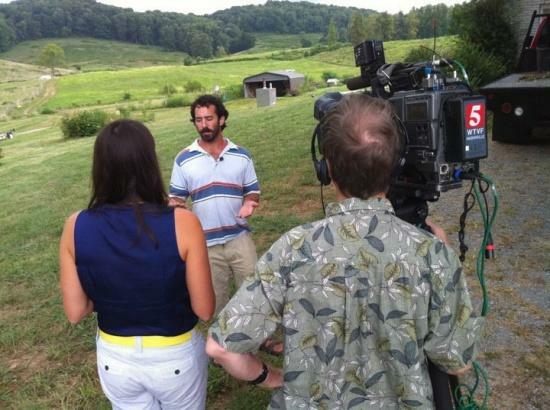 Billy Kaufman is interviewed by News Channel 5 (WTVF-CBS) about Short Mountain Distillery. It should air tonight in the 5 or 6 p.m. newscast. Should Cannon County voters give their approval to the operation of a liquor distillery within the county Nov. 2, it doesn't mean that the business can simply start manufacturing whiskey the next day. First the owners of Short Mountain Distillery will have to apply and be approved for a number of state and federal licenses and permits governing the operation, manufacture, transportation and taxation of distilled spirits. And while Cannon County, like many rural counties in Tennessee, has a history of people making illegal spirits — moonshine — with the operators going to great lengths to avoid detection by the authorities — revenuers as some called them — a legal operation benefits from having government oversight. That role in this state falls upon the Tennessee Alcoholic Beverage Commission. TABC is a law enforcement agency with regulatory duties. Its jurisdiction includes licensing entities throughout the state to sale and to distribute alcoholic beverages; enforcing criminal statutes prohibiting the illegal manufacture, sale and distribution of alcoholic beverages; as well as criminal enforcement jurisdiction over certain controlled substances (Schedule VI). As part of its regulatory duties, the TABC issues licenses to each of the three tiers of alcohol distribution: suppliers/manufacturers, wholesalers and retailers. Retailers consist of both on and off premise consumption licensees, with permits issued to their employees. 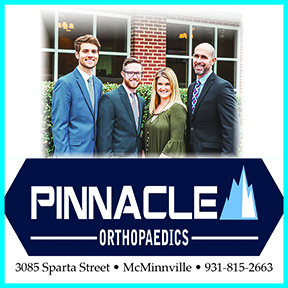 In addition to these licenses and permits, the TABC issues special occasion permits to charitable, religious, or education organizations meeting the statutory requirements. Before Short Mountain Distillery begins operation, it must receive a distillery license from the TABC. The distillery license is for manufactures that produce products with more than 5% alcoholic content. 5. Approval by the local government for the location. 6. Copy of Lease and/or Deed, or other document evidencing possession or right to possess the physical premises or real property for the proposed location. 7. Federal Special Tax Stamp Registration. 8. Copy of all loan contracts. 9. Financial background check of applicant. 10. Credit check from banking/lending institution. 11. TABC Inspection done by TABC Agent. 12. Acknowledgement sheet of ABC’s Rules and Regulations. 13. Copy of Sales and Use Tax Registration (Obtained from Tennessee Department of Revenue). 15. Copy or Corporate Charter. 16. List of stockholders and percentage of stock owned by each individual. 17. List of officers of the corporation and minutes. 18. Copy of Partnership Agreement. License issued is good from January 1 to December 31. To renew submit a new application and fee of $1,000. “Intoxicating liquors” or “intoxicating drinks,” as defined in this chapter, means and includes alcohol, spirits, liquors, wines and every liquid or solid, patented or not, containing alcohol, spirits, liquor or wine, and capable of being consumed by human beings; but nothing in this chapter shall be construed or defined as including or relating to the manufacture of any beverage with alcohol content of five percent (5%) or less. (a) Before anyone shall engage in manufacturing of intoxicants, as defined in this chapter, within a county, a privilege tax shall be paid in the sum of one thousand dollars ($1,000) to the state and to the county in which the manufacturing plant is located; and a license shall be issued by the department of revenue and by the county legislative body of such county as authorizes the operation of the manufacturing business within the boundaries of such county. (b) If the manufacturing plant is located within the boundaries of a municipality, likewise a privilege tax of one thousand dollars ($1,000) shall be paid to the municipality, and a license also shall issue by the proper authorities of the municipality, authorizing the manufacturing plant to operate. (a) The county legislative body of any county shall have the right and power, and such county authorities shall have the duty, to call and direct the county election commission to hold an election at any time, upon the filing and presentation of a petition bearing the genuine signatures of ten percent (10%) or more of the qualified voters of such county, based upon the number of votes cast in the last preceding presidential election in such county. Such petition shall be addressed to the county legislative body, and shall contain such language as to request, or to call upon the county legislative body, to call an election of the qualified voters of the county upon the question of permitting and legalizing the manufacture of intoxicating liquors and other intoxicating drinks within the boundaries of the county. (b) Upon the adoption of a motion or resolution by the county legislative body directing the holding of an election, the county clerk shall file a certified copy of the motion or resolution with the county election commission. (c) If a majority of the qualified votes cast in such election, in a county so holding an election, favors the manufacture of intoxicating liquors or other intoxicating drinks, as herein provided, in that event, it shall be lawful to manufacture intoxicating liquors and/or intoxicating drinks within the boundaries of such county. It is lawful for the owner and/or operator of such manufacturing plant, as herein provided, to possess, store or transport the products of such manufacturing plant within, over and across the state; provided, that the storing herein provided for shall be within the county authorizing the operation of the manufacture of the intoxicants; and the possession shall be limited to warehouses of such manufacturers in the counties authorizing the same, and while being transported to points outside the state. It is lawful for common carriers to accept for shipment, and to transport the products of such manufacturing plants to points outside of the state, but not to points within the state. The Cannon County Commission is scheduled to meet in special session on Aug. 28 to receive the petition calling for the referendum from the Cannon County Election Commission. The election commission has already certified that Short Mountain Distillery collected enough signatures to call for a referendum. Unless there is an unforeseen gitch in the process, the referendum will be on the ballot during the Nov. 2 State and National General Election.